If you recently went through a rough breakup or have had a stretch of bad luck in the dating game, Valentine’s Day is likely to bring up painful emotions — especially when it seems like everyone in your Instagram feed is celebrating the day with their special someone. Treat yourself to your favorite food or drink, snuggle up and listen to your favorite music, and use coping skills that you’ve previously discussed with your therapist. 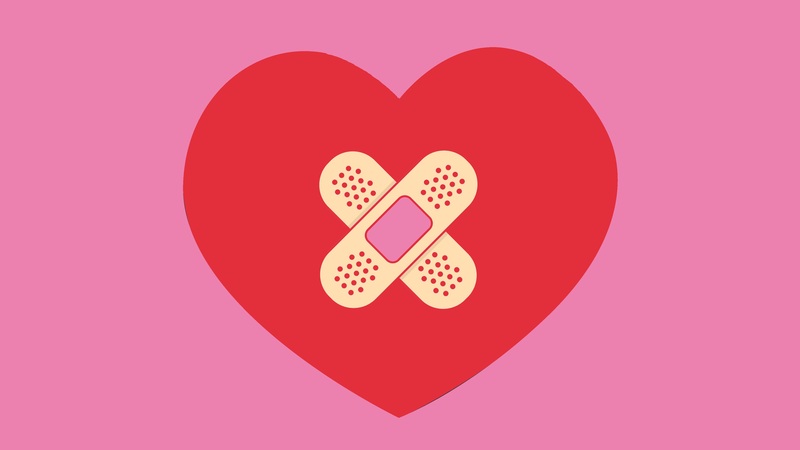 We often associate Valentine’s Day struggles with people who are single — but it can also place stress on individuals who are in relationships. For example, Dr. Georgia Witkin, director of patient services development at Progyny, tells SheKnows that the holiday can be tough on couples who are struggling to conceive. Whether your shared stressor is fertility, finances or family, Witkin says that Valentine’s Day is the perfect opportunity to “take a break from worrying” by sharing some quality time together. She suggests playing a favorite game, looking at photos from the early days of your relationship or simply getting in the car and going out for ice cream. Witkin also notes that music can be a great stress reliever — and sometimes an aphrodisiac.